Park with one easy swipe or with your smart-phone! The City of Bridgeport is installing new parking meters downtown and throughout the city to provide easy and efficient options for parking visitors. The new meters also offer a variety of payment options accepting quarters, credit or debit cards, and can also be paid via smartphone apps. The new Smart Meters are easy-to-use and reliable, with a digital screen that makes it easy to see all key information, such as remaining time and time limits. Visitors will be able to park, pay and be on your way to enjoy the many entertainment venues and restaurants like the Downtown Cabaret, Webster Bank Arena, and the many restaurants guaranteed to please all palates. Meters are active Monday through Friday 8am - 6pm. Parking is FREE on Saturday and Sunday in Bridgeport. On City holidays you can also park for free. 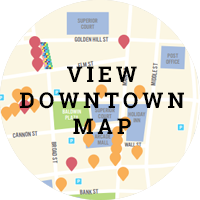 Whether you're shopping, dining, enjoying arts and culture, special events, or even attending professional services at a courthouse or government building, parking has never been easier. Now you can simply park and pay and be on your way. Look at the Smart Meter's display to find parking rates, hours, time limits, and other important information. If it is dark, press any button to light the display. If paying with coins, simply insert them in the coin slot until the desired time is reached on the display. Quarters only accepted. If paying electronically, insert and remove your credit or debit card. The Smart Meter accepts Visa, MasterCard, American Express, and Discover. With the blue [+] and [-] buttons, select the amount of time. The cost for that time will be displayed underneath. Press green [OK] button to confirm your payment, or red [CANCEL] button to stop your transaction. The meter will attempt to authorize the payment shown on the screen if neither button is pressed after 35 seconds. Wait for authorization of the card. *Please note that time purchased at this meter corresponds only to the adjoining parking spot. The time purchased is not transferrable. Visitor convenience is the number one reason cities and universities around the world are upgrading their parking operations. The new Smart Meters are not only convenient because they take both credit cards and quarters, but they also allow the parking public to pay where they park. Simply pull up, pay, and walk away. It's that easy. Watch this demonstration video and see for yourself. Insert the card chip first, with the chip facing up. Meter will first display remaining card value. Use the + Time or – Time buttons to select the amount of desired time. Remove card immediately when desired time is reached. The dollar amount displayed will be the amount removed from your smart card. 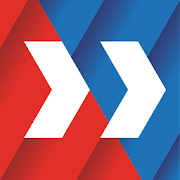 Download the app from iOS App Store or Google Play and follow instructions to complete your registration. Why is the City of Bridgeport replacing the meters? Bridgeport is updating all parking meters throughout the city with new single-space Smart Meters that will be more reliable, convenient and technology friendly. The new meters will improve customer and visitor experience. We know that maintaining a supply of quarters is not always convenient, so while the new meters will continue to accept quarters, they will also accept credit cards and debit cards, or you can utilize a variety of mobile apps to pay for parking at the new meters. The new meters have integrations with most pay by phone mobile apps including MobileNow, and ParkMobile. Each mobile application has features and benefits that users find convenient. Whether you prefer the app that helps find a parking space, or sends a text alert in advance of your meter expiring to give you the option to extend time - we know that everyone has a favorite mobile parking app and Bridgeport’s Smart Meters are compatible with visitor’s pay preferences. Smart Meters also have smart technology to notify staff if and when there are maintenance issues. The new Smart Meters will wirelessly alert the City staff to address the problem quickly. Will the new technology assist people in finding parking? 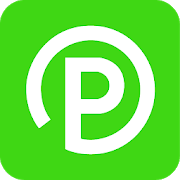 The smartphone app ParkMobile is available for free download at app stores and has a parking locator function to help visitors find parking. Is there a fee to use the smart-phone app? Parking paid through mobile payment will be processed by a third-party vendor. To cover the cost of the service, a convenience fee of $0.25 / transaction is charged to the customer, in addition to the parking fee. Which credit cards are accepted at the Smart Meters? The meters will accept Visa, MasterCard, American Express, and Discover. Is there a fee for using a credit card with the Smart Meters? No, there is no fee to use a credit or debit card with the Smart Meters. However, there is a minimum parking session required to pay by credit card, depending on the time limit of the meter. Can I get a receipt for my credit card payment at a new parking meter? Yes. Visit www.myparkingreceipt.com and enter the requested information. A PDF receipt will be generated for the parking transaction(s) found for the credit card. You may also use the “Login” link to register your card; once that is done, you’ll automatically receive a receipt by email each time the card is used. Please take a short survey and tell us what you think of the new Smart Meters. Copyright ©2019, City of Bridgeport All Rights Reserved.